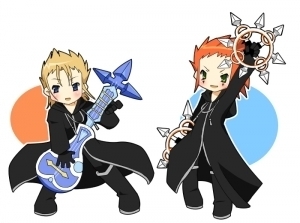 Axel and Demyx- Aww ;). . Wallpaper and background images in the KH: Organization XIII club tagged: kh kingdom hearts organization xiii axel demyx.